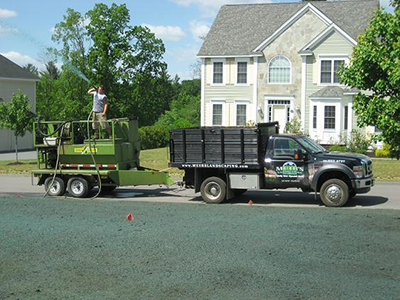 Hydroseeding is also refered to as Hydro-Mulching it is a planting process which utilizes a slurry that is consisted of seed, mulch, tackifer, fertilizer and lime. This is known to be one of the fastest most productive ways of establishing a lush green lawn. 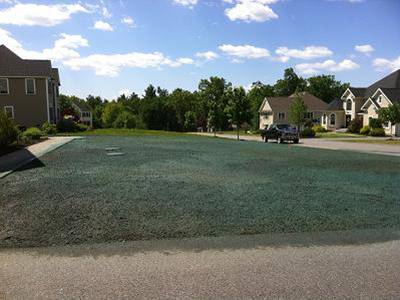 The process of Hydroseeding will save you tons of money compared to the tradational method of laying Sod. 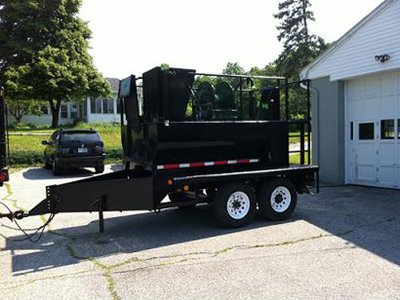 Muir's Landscaping uses state of the art equiptment and professional staff to get you a new green lawn faster then ever. We use premium grass seeds and different mixtures of mulch, our most common mixture of mulch is a 70/30 blend of paper and wood or we are able use a 100 percent paper mixture. Call and ask about our New lawn install packages.